“I should have trusted my children, you are a witch,” the formerly bewitched rich guy played by Jack Scalia (Endless Descent) blandly announces as he watches his fiancee levitate with electricity periodically sparking around her. And just like that the water banshee’s plan to flood the valley begins to unravel. Of course calling what she was up to a “plan” is beyond charitable considering how utterly she consistently failed throughout this badly acted film (if the child actors were any more stilted, they’d have to be in a parade) which is periodically larded with primitive computer effects and misplaced attempts at physical comedy that only undermine the supposed threat the banshee presents. But folks getting hit on the head with bales of hay, food being dumped on people and Veronica Hamel falling into pig slop (Hill Street Blues probably seemed like a long time ago when she was shooting that scene) don’t in and of themselves sink a movie. Quite the contrary, that’s the sort of thing that passes for action here. And cheesy melting effects that look worse than the ones used seven years before in Terminator 2: Judgment Day can certainly bring a level of unintended levity to things which might keep viewers engaged. 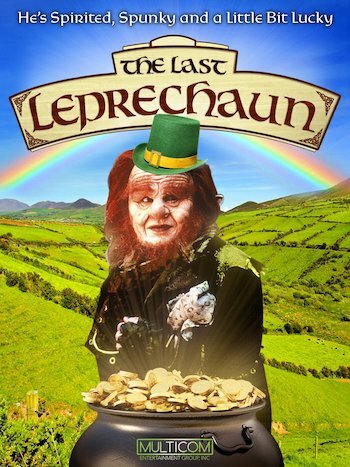 It’s that the story of The Last Leprechaun is by turns so illogical and full of coincidence that you wonder if Finn is simply the last leprechaun because all the other ones killed themselves rather than have anything to do with it. You know you’re not dealing with smartly scripted characters when right at the beginning of the movie, Simpson the butler is down in the basement at the old altar resurrecting a banshee and he didn’t even think to bring along a host body for it to inhabit. Come on dude, that’s right out of Summoning Evil Spirits 101! Just then the lady of the house, Laura, comes downstairs and the banshee takes possession of her. The banshee demands that Simpson find her a powerful man so that she can get going on her evil plans. Guess what? Laura just happens to be engaged to Henry Barridge (Scalia) a wealthy widow with two kids! And the kids are on their way to Laura’s mansion so they can get to know her better since she’s going to be their new step mom! 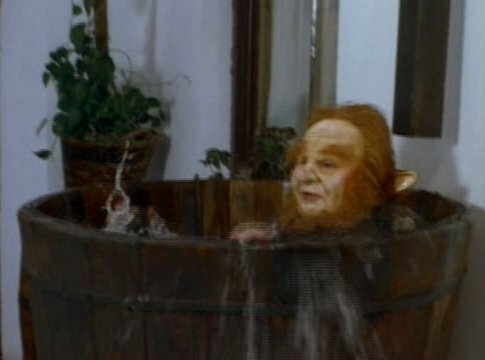 And the nearby forest is being chopped down and is also the home to Finn, the last leprechaun! And Finn is forced into acts of eco-terrorism to defend his home! While most of that sort of sounds made up on the spot from the left over parts of idiotic family films with an emphasis on Irish stuff (leprechaun, banshee, old handyman who has a healthy respect for the wee folk), things actually begin making less sense as they progress. Like when the banshee and Henry reveal her plan (complete with fancy model) to flood the valley to provide half of Ireland’s power through a hydroelectric dam. At some point she puts Henry under a spell which is a convenient way for him to overlook the absurdity of all this. But what about other interested parties such as investors and government regulators? We know nothing about his fiancee before she was possessed. Wasn’t anyone surprised when she suddenly hired construction crews to log the forest, started lobbying for a massive dam project on her own land and began wearing garish hats? And what a lucky break for the banshee that the person she possesses just happens to own all the land there with access to water and has a rich boyfriend to fund a chunk of her project! 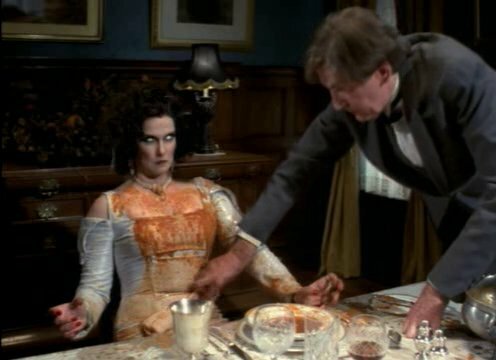 But what an unlucky break that such a scheming creature couldn’t outsmart a pair of petulant would-be stepchildren! 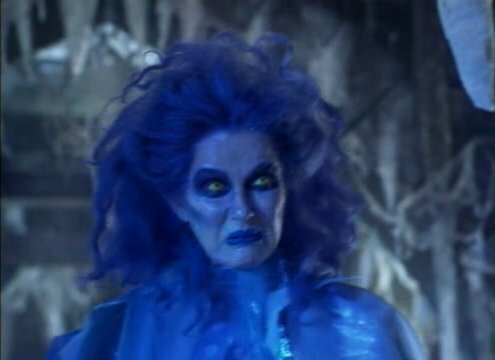 Why didn’t she put a spell on them? Or work some of her fancy magic to otherwise incapacitate them? How does she think she’s going to take over the area if she’s letting kids trip Simpson into dumping vegetable soup on her? Sure, she got revenge by causing some desert to get dumped on the little boy, but at the point she’s simply punching down and can’t be taken seriously anymore. With a story that fails just as often as the banshee and Simpson (his plan to resurrect the banshee so he could rule the world seems particularly imbecilic), a cast you can’t help but actively dislike except for minor characters like Mary the cook, and a villain who looks like a ridiculous drag queen in a succession of ugly dresses, face paint and colored fright wigs, that terrible wailing you hear during the film isn’t the warning shriek of the banshee, but the lamentations of the unsuspecting viewer thinking they were in for a fun Irish-themed fantasy flick instead of a particularly nasty practical joke even the meanest leprechaun wouldn’t play on you.